Stan Hopewell began to make paintings during his wife Joyce's illness. The hundreds of paintings he created record important events in his life, in the life of his wife, and most importantly, in works that give visual form to the ineffable presences of God. That intimate spiritual relationship guided Hopewell through a life that has not been without hardship and challenge. His faith sustained him through the three years of his wife's serious medical condition but, when she died, Hopewell stopped painting. Ted Snell's monograph on the artist Stan Hopewell: facing the stars will be published by UWA Publishing in tandem with the exhibition. Exhibition opens on Friday 11 October 2013, 6pm at the Lawrence Wilson Art Gallery. Featured artwork: Stan Hopewell, Christ 2003, oil and collage on board, 60 x 90 cm, © Courtesy of the artist. Visit the Stan Hopewell: God is Love exhibition website for more information. This exhibition considers how contemporary artists create an ideal reality- in the form of constructed worlds that transcend our daily experience, or by considering the beauty found in familiar places or things. Focus is on the object in space and installation work which communicates a sense of order, balance and wonder. Visit the Bliss exhibition website for more information. 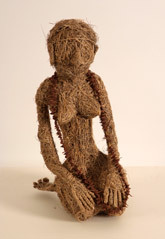 In an eclectic group of works from Elsie Labumore Roughsey - whose autobiography lends the exhibition its title - Joyce Winsley, the Narrogin Doll Makers, Tracey Moffatt and Destiny Deacon, the doll is variously an anonymous prop, a poignant effigy, a means of building community or a vehicle for cultural critique. Experience the sights and sounds of Africa through the lens of world-renowned ethnomusicologist John Blacking. Music Dance Landscape Image uses the John Blacking Collection, housed at The University of Western Australia’s Callaway Centre, to provide snapshots of performances that Blacking encountered during his travels in southern and eastern Africa. Travelling to South Africa, Mozambique, Zambia, and Uganda, he took camera, sound recorder, and notebook, to capture his impressions of music and dance in pictures, films, audio recordings, and diaries. The exhibition provides opportunities to see and hear rare musical instruments, and to watch lively dances on video. The Music Dance Landscape Image exhibition catalogue is available for download in PDF format. Please contact the gallery should you require this catalogue in an alternative format. This exhibition explores the inter-relationship between the people, country and stories of Goulburn Island, Northern Territory, as they were in the past and as they are now. Bark paintings, photographs and sound recordings from the collection convey the richness of djurrbilk or gossip songs. The subject matter of these songs is diverse and thoroughly intriguing. Djurrbilk stories use human characters in the guise of animals. The stories are sometimes based on actual events that have happened in the community, but the use of animals obscures the original characters and their actions, protecting their identity and saving embarrassment. The Djurrbilk stories are amusing, and the songs through which these stories are told, are amazing. Aboriginal music will never be quite the same. Visit the Little Paintings, Big Stories exhibition website. Visit the Abstracting the Collection exhibition website. HERE&NOW13 presents Western Australian contemporary art created by people with disability. The project is a partnership between DAADA, the Department of Culture and the Arts, the Disability Services Commission, Fremantle Arts Centre, Perth Institute of Contepmorary Arts, the Central Institute of Technology, the Museum of Modern Art, the League Artists Natural Design Studio and Gallery in New York, and the Lawrence Wilson Art Gallery. Featured artwork: Lisa Uhl, Fitzroy Trees, 2012, acrylic on canvas, 45 x 60 cm. © Courtesy of the artist. Visit the HERE&NOW13 exhibition website. Visit the ORIENTing exhibition website. Drawn from the Cruthers Collection of Women's Art and The University of Western Australia Art Collection. 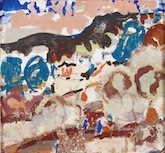 Towards Perth includes works by Jean Appleton, Portia Bennett, Elizabeth Blair Barber, Elise Blumann, Audrey Greenhalgh, Edith Trethowan and Rose Walker - who were all active members of Perth artist societies and produced landscapes, seascapes and depictions of Perth that were informed by their exposure to modernist ideas. Artwork featured: Audrey Greenhalgh, Storm at Evening, 1947, oil on canvas on board, 44.5 x 57.5cm. Copyright courtesy of the artist's estate. This exhibition showcases the work of Ronald and Catherine Berndt while they travelled to Papua New Guinea in 1951. See previously unknown photographs recorded by Ronald and Catherine during this time. LUMINOUSFLUX examines the variety of ways in which local and international artists harness the magical palette of light. Many employ neon as a major mode of expression, whilst others utilise light-boxes, reflective surfaces, or incorporate light into installation works to create emotionally powerful and formally innovative works. Featured artwork: Brendan Van Hek, Colour Composition #3, 2013, found neon, metal hooks, dimensions variable (work in progress). © Courtesy of the artist. DARK PORTALS is a mysterious exhibition where the strategy of traditional embroidery techniques relay the multi-layered reinterpretations in the work of a contemporary artist. Featured artwork: Sera Waters, Cave series, 2011 -12, linen, glow-in-the-dark cotton, string, handmade beads, card, leather, felt, stuffing (set of 4), variable dimensions. © Courtesy of the artist.